Look at Dwayne being a hero and incorporating a message to all his fans. 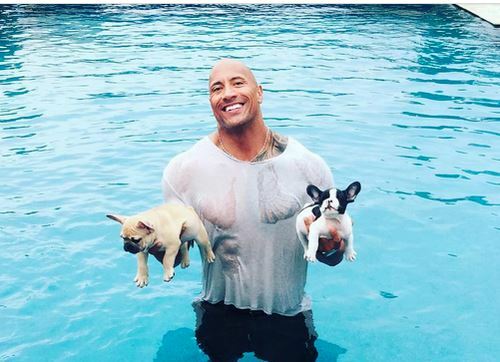 The Rock just posted a picture of himself in a pool, soaking wet, holding two adorable French bulldogs with a story about how he saved one of them from a certain death. The pups hadn’t been home a minute before they made a brazen attempt to swim. Only The Rock can make such a story inspirational.